The private garden has been designed locally, offers an exotic touch with a wide selection of trees and flowers. The house has WIFI annd is secured by an alarm system with 24 hours intervention and a secured parking is available for clients use. Safe are available in the guests bedrooms. The Navani villa Mauritius, is a modern and new contemporary villa with a private garden and swimming pool. The villa is situated in the calm and residential area of Grand Bay Mauritius, 200 metres away from the beach, more precisely in between the famous Royal Palm hotel and Merville Beach Hotel. The maid can cook, iron personal clothing and baby sit children at an agreed cost. Baby cots are also available free of charge on requests. Our Manager, Marie-France will assist you on your holiday, advise you on the Mauritian culture and the best places to visit, to ensure your holiday is a success in its entirety ! All bedrooms are air conditioned. The Living room has satellite channels, DVD as well as wireless internet connection. The kitchen is fully equipped and all linen such as bed sheeting, bath and pool towels, cloth, etc are provided. 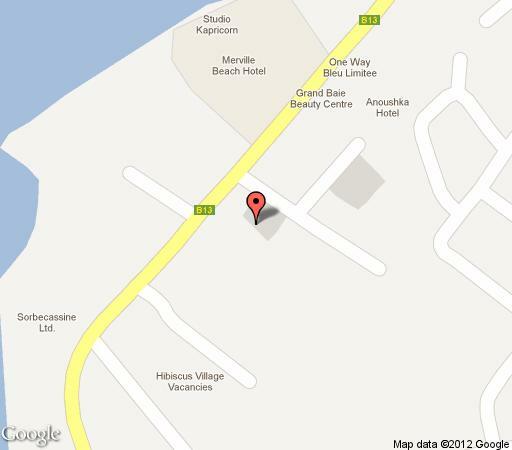 The Villa Services include a maid from 9h30am till 1h30pm/ 3h30pm every day except Sundays and public holidays. Pool & garden cleaning is regularly carried out (three times a week). Each villa has its own private pool.